Taxpayers who itemize deductions on their income tax returns can deduct most contributions they make to charitable organizations. One significant exception is the “gift of services,” including volunteer time. It’s not uncommon for volunteers, including board members of nonprofit organizations, to ask why their time spent volunteering can’t be treated as a deductible contribution. John Carney of CNBC attempts to explain the issue and gets closer than most people, but it still misses the mark for some volunteers. Carney’s explanation is that volunteering reduces one’s income because the volunteer is volunteering instead of working. Reducing one’s income reduces one’s tax bill, so the volunteer gets the benefit of lower taxes by not making money while volunteering. This assumes one makes money by working. Most pre-retirement adult people do. However, this explanation also assumes that one’s income is tied to the hours one works. This is often not true, especially for people who itemize deductions. Retirees, people who work for a salary, people with significant investment income, and people whose employers provide paid time for volunteering might be less than satisfied with this explanation. Another explanation might be that the IRS is concerned about exchanges of cash and assets between donors and charities. Cash and assets are both quantifiable (dollars and cents) and uniform (your dollar is worth the same as my dollar). When no cash or assets transfer from you to a qualifying charity, the IRS, for tax purposes, does not recognize a gift as having taken place. Does the IRS hate volunteers? Does it seek to discourage volunteering? We seriously doubt it. Imagine if volunteering were deductible. 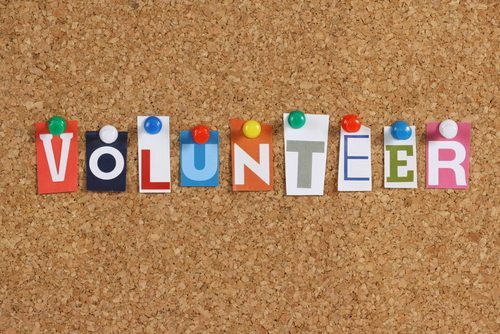 What is a volunteer’s time worth, both generally and in specific circumstances? Who decides, and how is that value documented? What kind of accounting controls would charities have to implement? What kind of documentation would a taxpayer have to maintain? Who wants to write those regulations, much less interpret them and attempt to comply with them? Volunteering would become much more bureaucratic, managing volunteers would become more burdensome to charities, and the benefit to taxpayers of the added requirements would be relatively minor when compared to the costs of compliance.